East Arnhem Shire Council Sport & Recreation Officer Sebastian Pascoe has been selected as one of fifty Indigenous leaders of the future to meet in Canberra next week (23-29 May) to debate issues affecting their communities and country at the first National Indigenous Youth Parliament (NIYP). The National Indigenous Youth Parliament aims to promote youth-led advocacy, active community leadership and the development of a group of future Indigenous leaders. Run by the Australian Electoral Commission (AEC) in conjunction with the YMCA to mark the 50th Anniversary of the Indigenous right to vote in federal elections, the Youth Parliament is designed to help close the gap on Indigenous disadvantage in electoral participation. Sebastian will join fellow members in Canberra to learn how government works, how laws are made and have workshops in public speaking and honing their media skills. He will also have an opportunity to meet with political leaders, MPs and Senators. Adding to an eventful 2012, Sebastian has this year also received an award from the East Arnhem Shire Council, Youth Sports and Recreation for outstanding leadership. Sebastian works with children and young people between the ages of 5–25 years in programs such as the after school care program, vacation care, sports and youth mentoring. 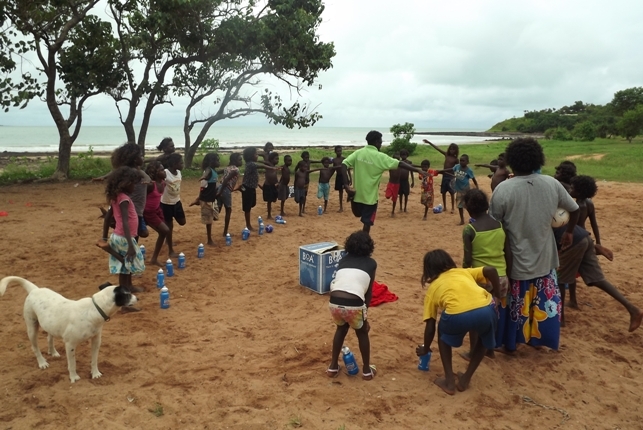 Sebastian is currently involved in facilitating the development of Galiwin'ku's first Youth Advisory Council. EASC Youth, Sport & Recreation Regional Manager, Mrs Cherie Forbes said “Sebastian is a positive role model within the Youth Services program and promotes living a healthy lifestyle and importance of education with the participants of our programs”. Sebastian will be joined by fellow Territorians, Belicia Baird, Nateesha Collins, Dwayne Jones, Chanston Paech and Tara Liddy to form the historic National Indigenous Youth Parliament from an impressive field of more than 180 applicants.